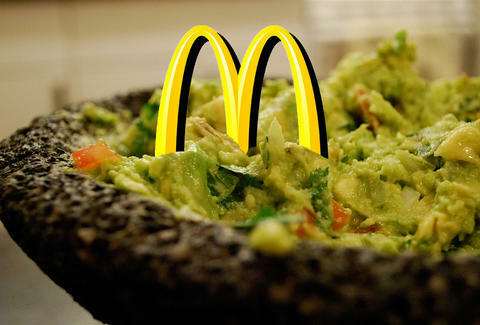 Ronald isn't the only one getting an update: McDonald's is set to emulate Chipotle by testing guacamole as a burger topping and side dish in Denver. The Guacamole Burger features Haas guac, pico de gallo, lettuce, and white cheddar on a beef or grilled chicken patty, but you can also score the green stuff as a side dish for $0.89. Apparently this is something Mickey D's has tried before, so let's cross our fingers that it goes better than Mighty Wings, and that it spawns a new McDonaldland citizen: the Avocado Bandito. Kristin Hunt is a food/drink staff writer for Thrillist, and likes guac on most things. Follow her at @kristin_hunt.